U.S. Airstrike Targets 'Jihadi John' In Raqqa, Syria : The Two-Way The Pentagon has not said whether it was able to kill the ISIS figure, whose real name is Mohammed Emwazi. He appeared in videotapes released online of Americans and other hostages being murdered. British daily newspapers from earlier this year showed the masked killer now identified as ISIS figure Mohammed Emwazi. He was targeted Thursday by the U.S. in an airstrike in Raqqa, Syria. The Department of Defense says U.S. forces conducted an airstrike targeting an Islamic State figure known as "Jihadi John," who has appeared in videotaped murders of Americans and other hostages. Officials have not said whether the attack Thursday on a location in Raqqa, Syria, killed "John," whose real name is Mohammed Emwazi. Emwazi is a British citizen who was born in Kuwait. He grew up in London, and reportedly earned a degree in computer programming. There are different explanations of how he came to be radicalized and travel to Kuwait in 2009 and then to Syria in 2012. Pentagon Press Secretary Peter Cook announced the airstrike, saying U.S. officials "are assessing the results of tonight's operation and will provide additional information as, and where, appropriate." The Associated Press reported, based on an anonymous source, that a drone had targeted a vehicle in which Emwazi was believed to be traveling. 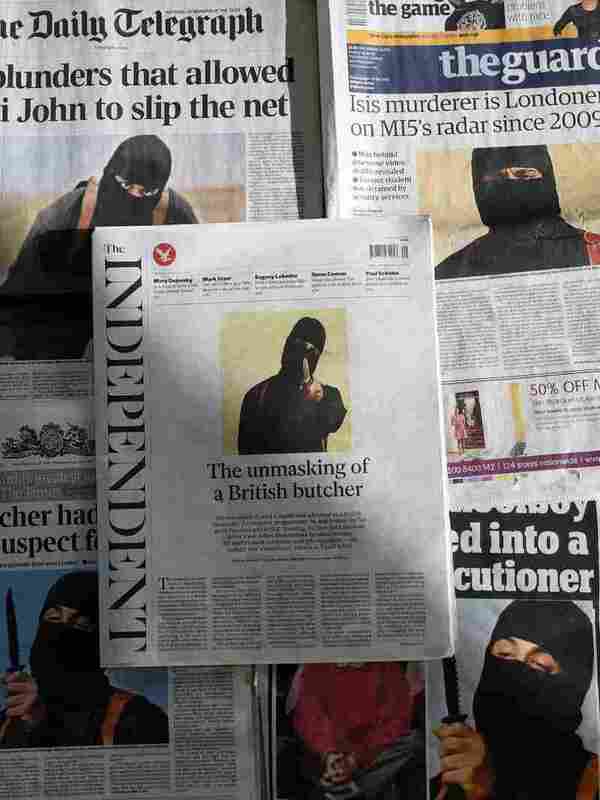 "Jihadi John" featured in a series of gruesome videos, released online, in which ISIS announced and carried out the murders of hostages, as NPR reported earlier this year. "Dressed all in black with only his eyes and hands exposed, the ISIS figure first attracted notice last August, when he addressed the camera in fluent English before hostage James Foley, a U.S. journalist, was beheaded. "Shortly after Foley's death, British Ambassador Peter Westmacott said that 'we are close' to identifying the central figure in the video. "Since then, the man named today as Emwazi has appeared in more videos in which hostages were killed, including the Britons David Haines and Alan Henning as well as the Americans Steven Sotloff and Peter Kassig (who changed his first name to Abdul-Rahman during his captivity). "The same man is also believed to be in more recent videos in which two Japanese hostages, Kenji Goto and Haruna Yukawa, were beheaded." "Spanish journalist Javier Espinosa, who had been held in Syria for more than six months after his abduction in September 2013, said Emwazi would explain precisely how the militants would carry out a beheading."